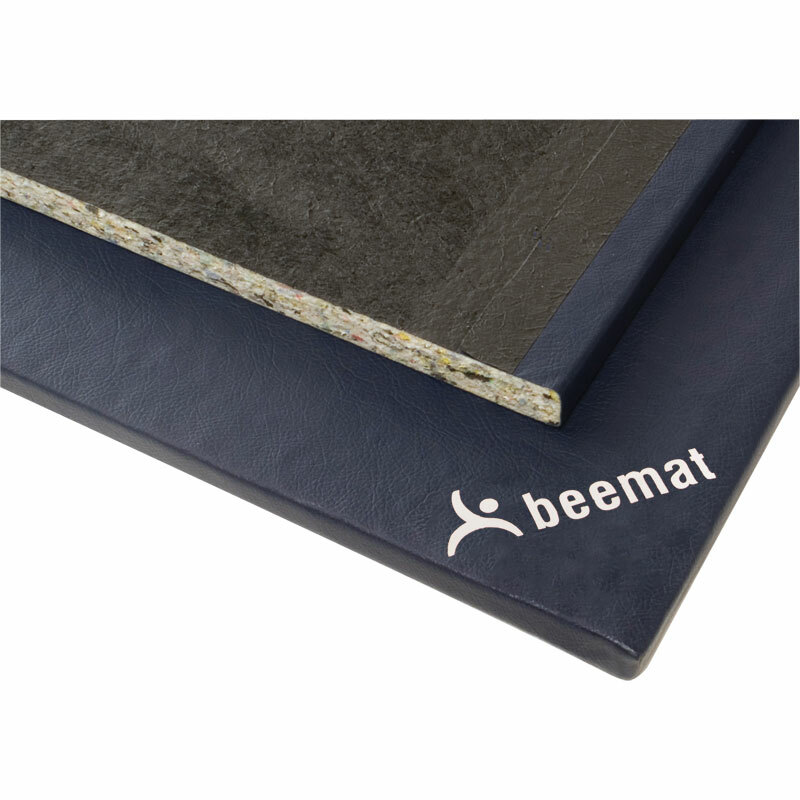 Beemat ® Deluxe Original Gymnastics Chipfoam Mats are part of the Beemat brand of gymnastic mats which have been developed over many years also better known as the Schools Gym Mats, which provides high quality products for all ages in education plus recreation area in Prison Gyms and MOD for their physical training floor work. The standard gym mat suitable for junior, secondary and general purpose use. Ideal for all floor and movement exercises. Constructed using flame retardant PVC coated fabric bonded to the top and sides together with a latex antislip base. 1.82m x 1.22m x 25mm – 6' x 4' x 1". 1.82m x 1.22m x 32mm - 6' x 4' x 1.26". I'm so pleased with this mat,it is firm enough to support your body weight but not hard. I wanted a mat for sit ups and yoga and this is perfect as its thick enough to soften my wooden floor, I would recommend this mat in both quality and price.